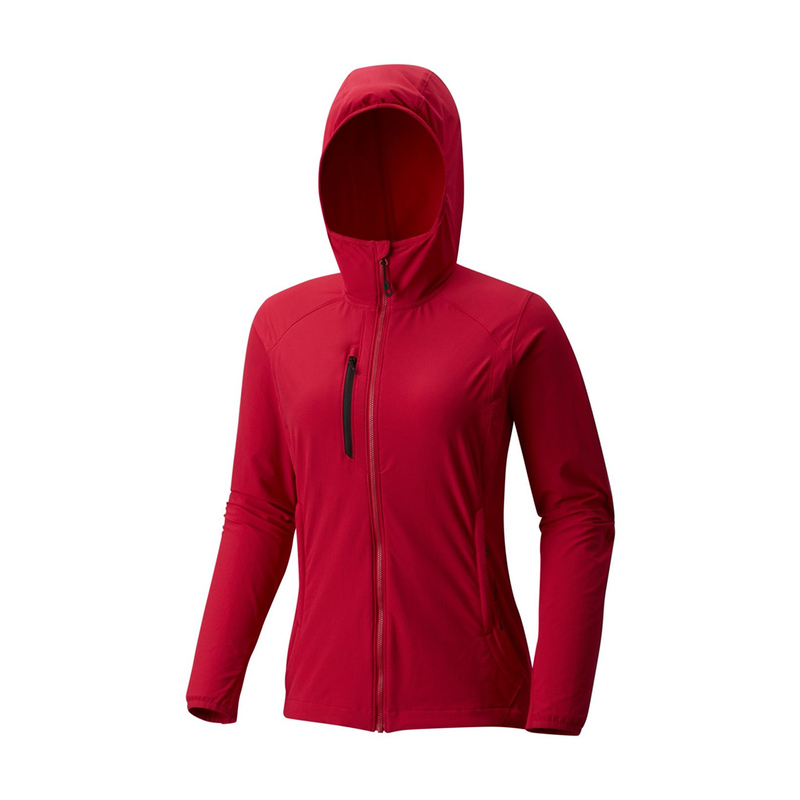 The Mountain Hardwear Women’s Super Chockstone Jacket is a lightweight, wind-resistant summer climbing jacket that’s great for layering and has a 50 UPF sun protection factor to keep you protected from the sun. 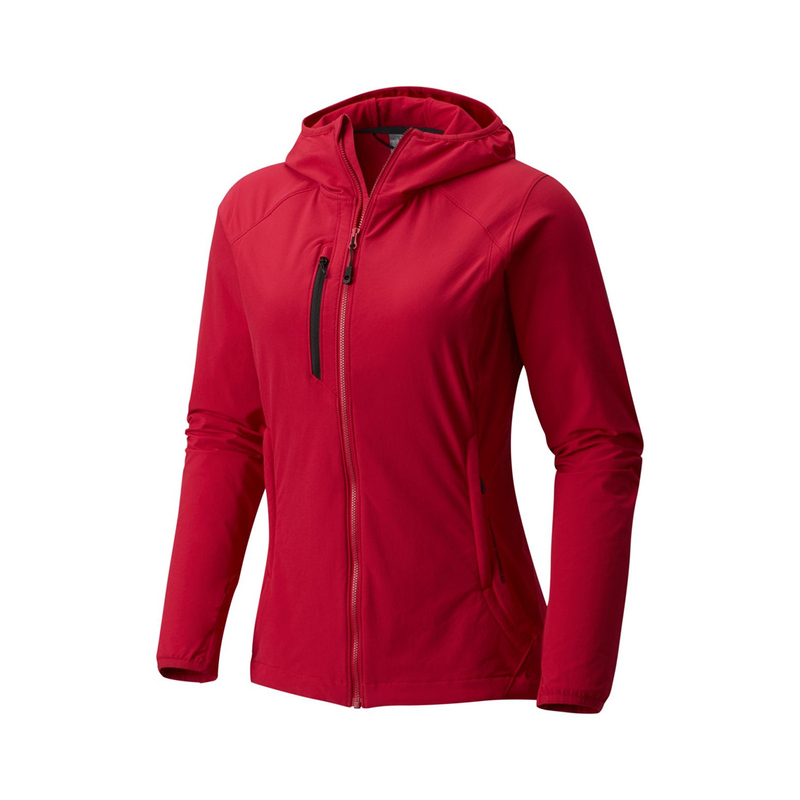 The Mountain Hardwear Women’s Super Chockstone Jacket is made from a lightweight, stretchy Chockstone soft-shell fabric, which is designed to provide an optimal combination of breathability, stretch and durability for hiking, climbing and scrambling. 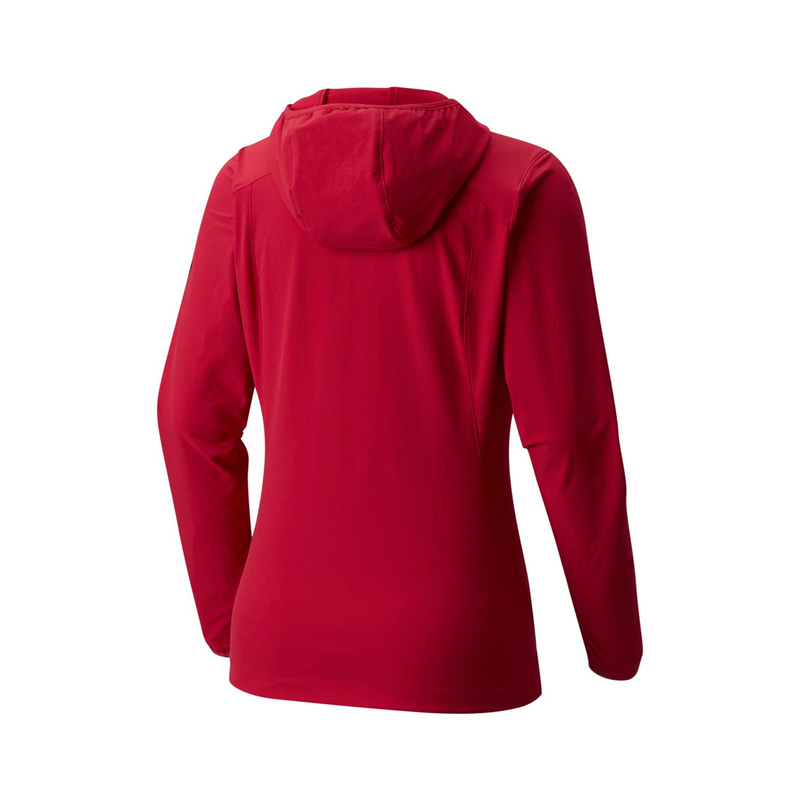 Added bonuses include an articulated fit for great mobility and a DWR finish for a little extra weather protection. Other useful features include a low profile hood, elasticated wrists, an adjustable hem and a low profile hood – plus the Super Chockstone Jacket can be packet up into one of its hand pockets so you can keep it in your pack for emergencies. This jacket can be packed packed down and stored in one of its pockets, so you can easily store it in your pack or clip it to your rack. This saves loads of space and makes jackets with this feature the ideal just-in-case items for climbing, ski touring and mountaineering. Chockstone is Mountain Hardwear's patented soft-shell fabric - it's super-lightweight and uber-stretchy, but its also durable, wind-resistant and water-resistant for all-round outdoor use.